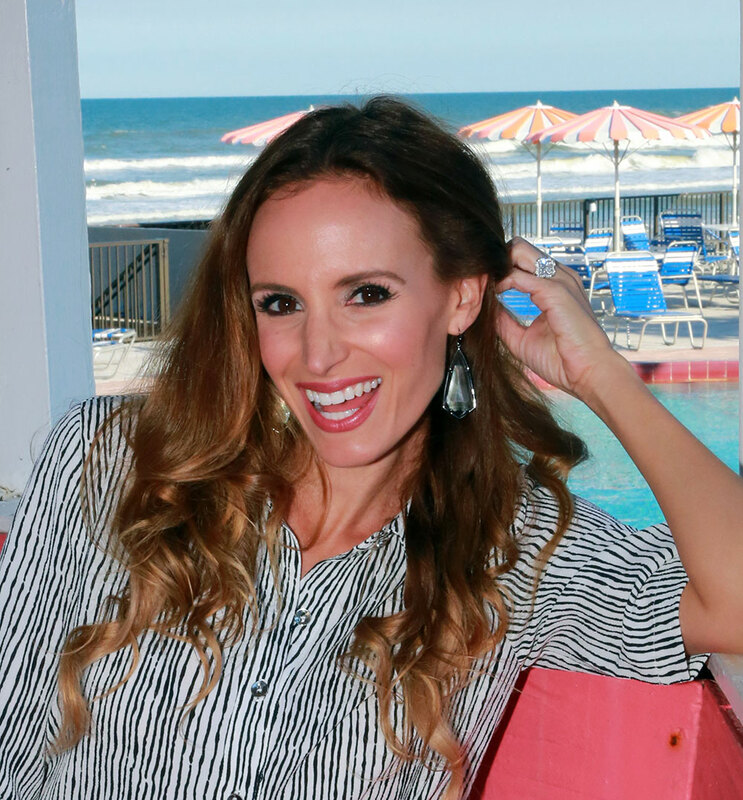 A black and white stripe shirt dress never goes out of style! It’s easy to dress up but it is also comfy with a casual, carefree vibe. I am loving this one from Shop RiffRaff because of its light and easy-breezy fabric and the cute bottom slits that give it a little sass. I paired it with a red belt for a strong pop of color and my new Kendra Scott jewelry that I can hardly take off. The ring is a black mother of pearl two-finger ring and earrings are clear yet iridescent. They go with so much and add a real edge to any outfit! My go-to Michael Kors heels and cross body bag finished off the look. 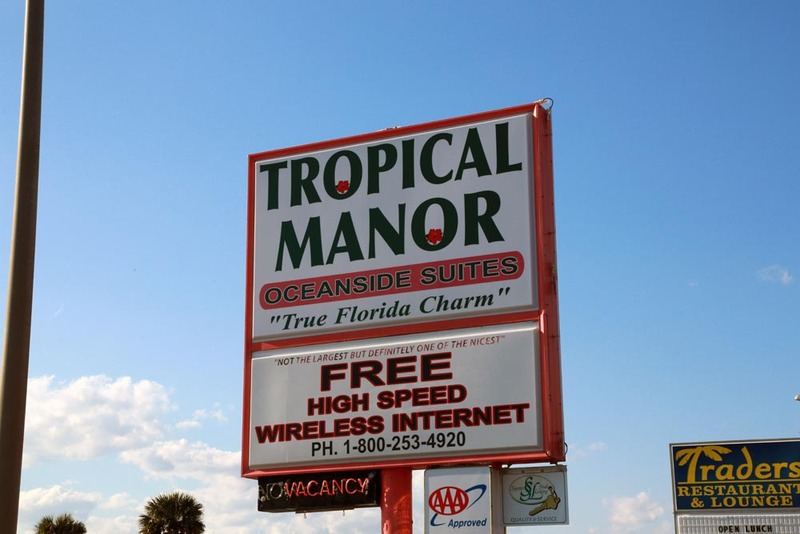 I also have to give a huge shout-out to the Tropical Manor hotel. Driving along in Daytona, I spotted this adorable bubblegum pink hotel and of course, I had to go in! They were nice enough to let me shoot some pics there. I got talking to some of the people staying there and was blown away to know that it was purchased in 1956 and the owners have kept everything intact, giving it such a fun retro vibe! From pastel walls or hand-painted beach themed murals to fun and colorful patio furniture, this place is a must-see! I talked to a handful of people while there and one guy had stayed there for the Daytona race the past 27 years (!!!) and for another couple, it was their 10th straight year staying there. It has such a warm and welcoming feel, I can see why they keep coming back!